Most people are familiar with the two types of loans offered by financial institutions and lenders which are secured and unsecured loans. A secured loan is basically a loan that is awarded to a borrower who owns some form of collateral that acts as security if a loan is not paid back accordingly. On the other hand, an unsecured loan does not require a borrower to submit any form of collateral to the lender in order to secure the financial aid they require. 1. How Secure Are These Types Of Loans? Most banks and financial institutions tend to offer more secured loan products than unsecured loan products. This is obviously due to the risk involved in issuing too many unsecured loans. Guarantor loans fall under the category of unsecured loans. A guarantor loan is a type of loan that can be seen to have a primary borrower and a second borrower who is referred to as the guarantor or co-borrower. 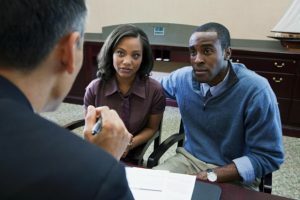 The role of a co-borrower in a guarantor loan is to take up the responsibility of paying the accrued debt in the case where the primary borrower is not in a position to do so. They are considered ideal for people who do not have a strong credit score. Having a poor credit score or no credit score at all greatly limits the number of loan products that you qualify for out there today. It is quite common for people to have their loan requests rejected by banks and financial institutions leaving them with very few options. Lack of collateral or property to act as security is also another reason people seek unsecured loans such as guarantor loans. Guarantor or co-borrower loans will definitely have higher interest rates than the normal interest rates attached to the secured loans offered by banks and other financial institutions. They will however have a lower interest rate as compared to other types of unsecured loans such as payday loans. You can borrow more money than you can using payday loans and you even get a longer repayment duration. To successfully get approved for a guarantor loan, you must have attained the legal adult age in the country. You should have an active bank account which you will use to make the necessary loan repayment installments. You must also demonstrate the ability to pay back the money borrowed without the help of your co-borrower. For instance, you can show that you have a regular income or salary which you will use to repay the loan in installments. To act as a co-borrower or a guarantor for a friend, colleague or a loved one you must be of legal age and have an active bank account. You must have a very good credit score with almost no history of bad debt or loan repayment failure. An added advantage is awarded to guarantors who own some form of collateral such as a home, piece of land, property or a business enterprise. If you and your co-borrower meet the above criteria then you are good to go.